Me and hubby are not a great fan of pickles. Rather we don't even have any pickles at our home. But I planned to make some pickle for CMT - Pickle event guest hosted by Nivedita started by Jagruthi. In that process, I had a chance to find some star gooseberries in my near by Chinese store. Its very rare to find such stuff here.. This star gooseberry or commonly know as Chinna nellikkai in Tamil can be easily found in my place in India. I used to love it for it tanginess and its mild sweetness. It will taste great by itself with some salt and chllily powder or it can be made into pickes or jams. 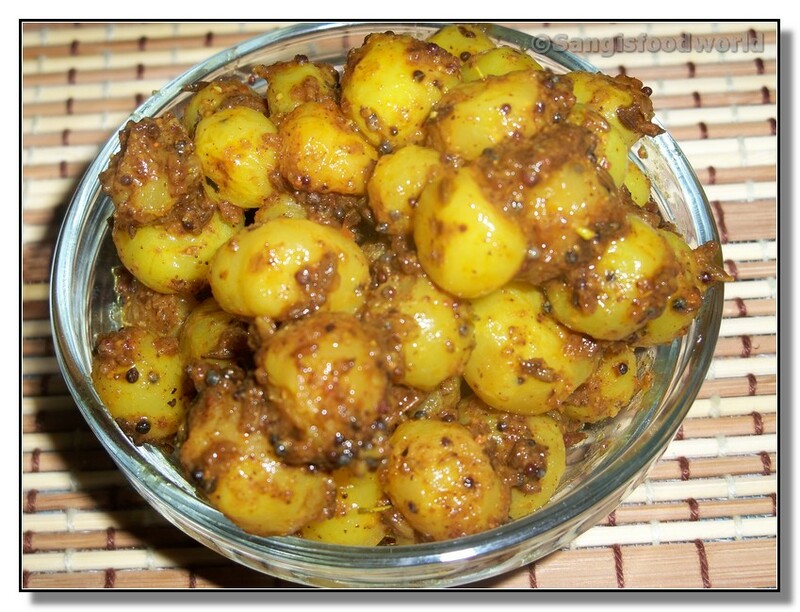 This kind of gooseberry is different from the usual gooseberry both in appearance and taste. 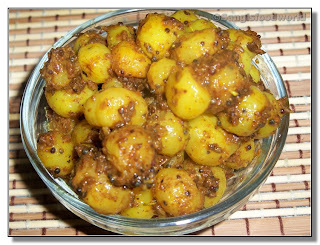 Usual gooseberry has the inbuilt bitter taste and hence pickling of it will take more time than star gooseberry. First make the pickle masala by dry roasting all the ingredients listed under 'for masala powder' until golden brown and grind it into a fine powder. Some many prefer coarser texture of this masala powder in the pickles. So fine or coarse powder is our choice. I have used amchur powder for extra tanginess. It can also be relaced with some lime juice or vinegar if needed. 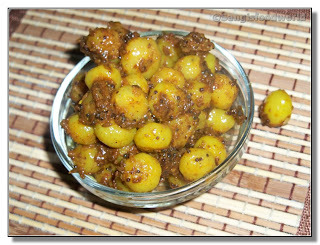 I got this idea of amchur powder from Priya of Priya's Easy N Tasty Recipes in one of her recent pickle recipes. 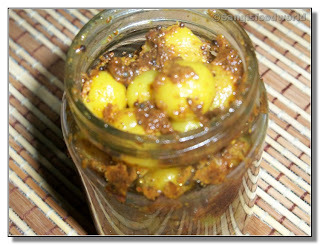 Gooseberry pickle looks irresistible..feel like tasting some now..slurpp! Goose berry pickle looks delicious. I am a huge fan of pickles..Love this mouth watering goose berry pickle..Tempting clicks!! Can't resist gooseberry... and this looks mouthwatering.